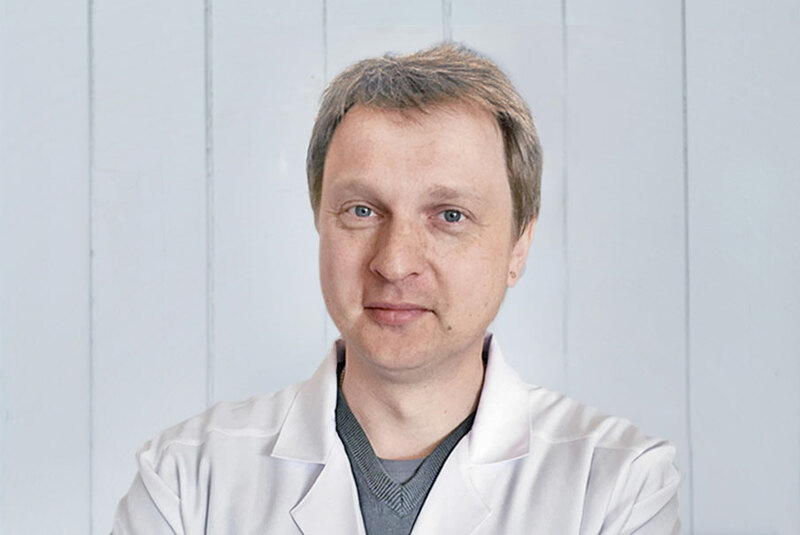 I started my career as a biotechnologist after graduating from university in Moscow, where I also obtained my PhD in economics, specialising in environmental management. I then began my career in biological soil remediation. My following assignment was in the pharmaceutical industry, where I remained for nine years. After that I worked as an R&D coordinator in public and private companies in the field of industrial ecology, including oil spill prevention, response systems and soil remediation techniques for the Gazprom Group. Recently, I was doing consulting for the United Nations Industrial Development Organization (UNIDO), helping countries to evaluate and implement the best available techniques and environmental practices. I’ve been assigned to support international projects in chemical safety and hazardous waste management. That’s right. I joined Arva’s predecessor, MOG AG, in 2009. They were looking for an expert to develop a new solution for biological soil treatment. Since I have experience in this field and wanted to work in this industry again, I was happy when they hired me. The product was still in development when I left the company in 2011. It had great potential but unfortunately has never reached the market. The management changed its goals and strategy, so I left to help Gazprom develop their environmental safety programs. Then, last year, I met with the new management. I was quickly convinced by the new strategy, saw the opportunities and gladly came back. Everything [laughs]. No, seriously. First of all, there is a new CEO who’s walking his talk. The things he announces and does are one and the same. And from a strategic perspective, I believe that the new management is looking in the right direction and setting the right goals. We’re now bringing a viable product to market. Over the last six months we’ve made tremendous progress in optimising our unique superoxidation method, and I’m very confident that the solution will become a success for all kinds of remediation purposes dealing with hydrocarbon contamination. What makes your method better than others? Why do you think you have a competitive advantage? We’ve developed a whole new approach to oil contamination and other hydrocarbon-based pollution. Our solution is very effective. It’s fast, economic and eco-friendly. This combination makes it unique. Our competitive advantage is simply that this solution is here, and it works. I know the markets from my former assignments. The big players in eco-solutions and the big oil companies are desperately looking for affordable and green solutions. These companies are too big. They have impressive overheads and long-term R&D plans but are just too cumbersome to develop smart, innovative and reasonable solutions. What’s your approach as Head of R&D? How do you see your role? I see myself as an enabler. At the moment, we’re establishing collaborative and flexible scientific research and product development. We’re now a small but highly qualified group of scientists and engineers. The idea is to keep the team small. Depending on the project, we bring in external experts with special skills and specific knowledge to support the internal R&D team. For example, to improve a chemical formula, I requested consultation from two renowned specialists––an internationally recognised expert in analytical chemistry and a professor of nonorganic chemistry from Bologna. We thus established a fruitful and effective collaboration within the clearly defined framework of individual service agreements. This allows us to build temporary task forces that deliver results with regard to diverse scientific questions. Our working method is that of a collector and filter: We investigate ideas, assess their market chances and begin experiments to optimise our products and services. If an idea proves to be viable, we pass it on to our engineers and project managers to build and scale a marketable solution. I’ve always taken this approach—with success. In the end everyone is satisfied, because we can produce results quickly. We also have the opportunity to work with the best experts in their respective fields. My vision is to conduct numerous parallel projects using this approach. We don’t have to be big to deliver. We’re focussed and know what we want to achieve. Can you give us an outlook on your department’s plans and milestones? One important guideline for all of our activities is the notion of green chemistry. We are designing solutions to minimise hazardous substances and avoid the use and generation of poisonous chemicals within technology application. In the course of this year, we will have conducted enough pilot projects in soil remediation and track bed cleaning to perfect our procedure. After that we’ll return to product ideas already under development, for example, bioremediation as the final stage of cleaning a contaminated substrate. To offer the full circle of detoxification, I believe that bioremediation is the perfect complement. We have many innovative ideas on our shelves that will widen and improve our range of services. If you compare us to other companies, you’ll be hard put to find a competitor with so many solutions to treat heavy cases. How do you see Arva’s role in the market for soil remediation in the future? I think we have the potential to be among the key players in green remediation. We can be one of the real innovators in this market. But we have to grow into this position. Today we’re acting as consultants with innovative solutions. In the long run, we’ll need the equipment to conduct pilot projects that show how our solutions work, which will in turn create references. One of our biggest future markets is persistent organic pollutants. We’ll have to demonstrate that we can handle these as well.